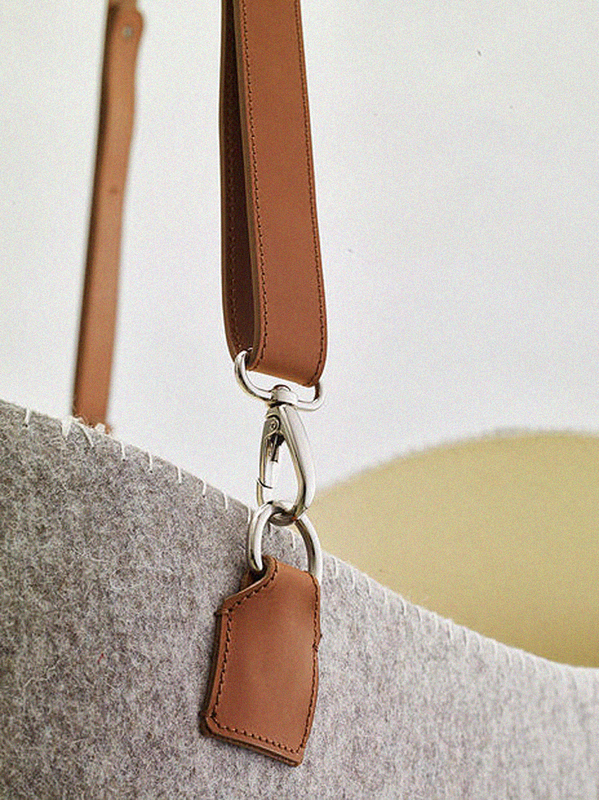 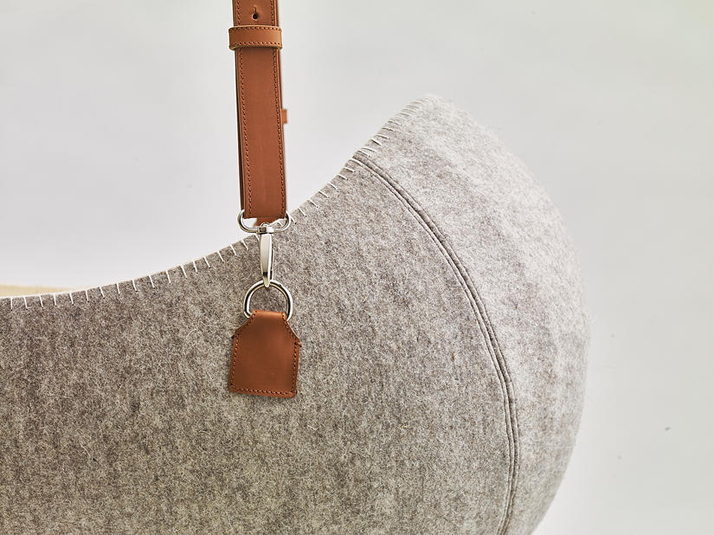 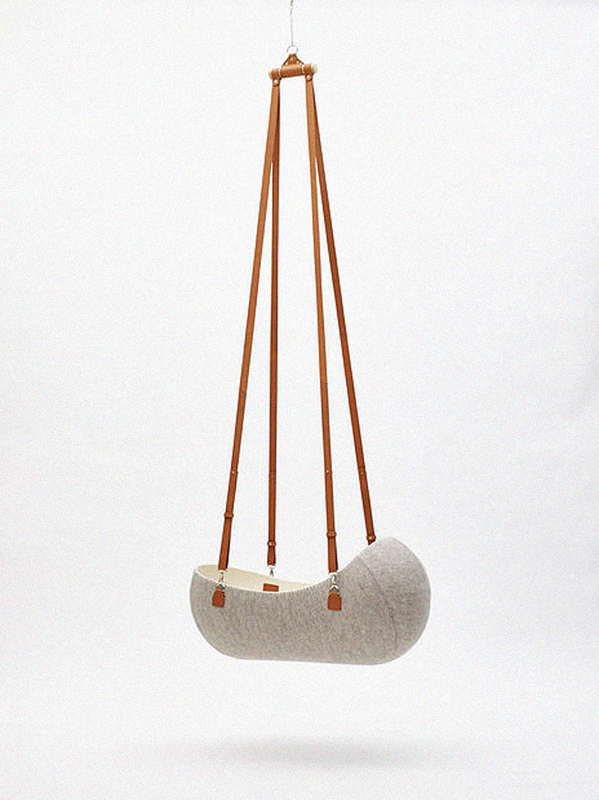 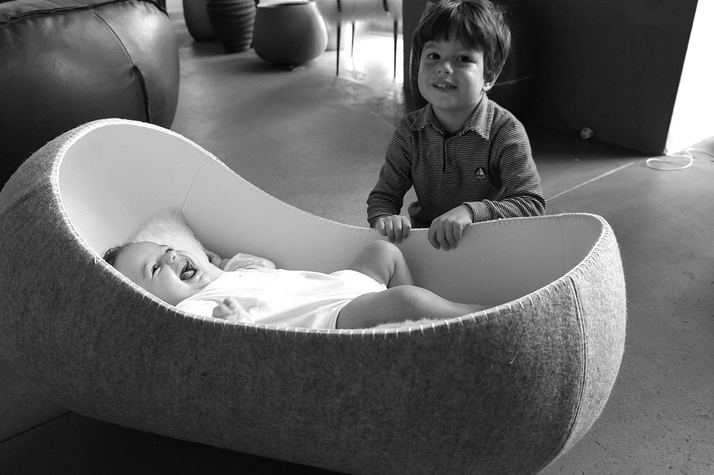 Shaped out of one single wool felt the cradle hugs around the baby as a protective shell taking care of their peaceful rest. 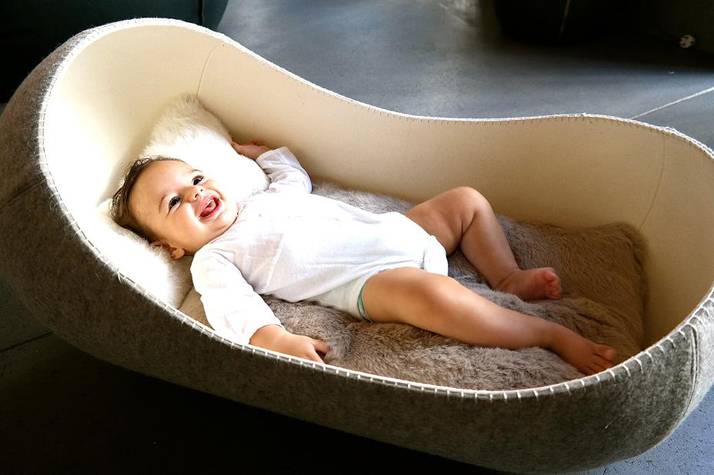 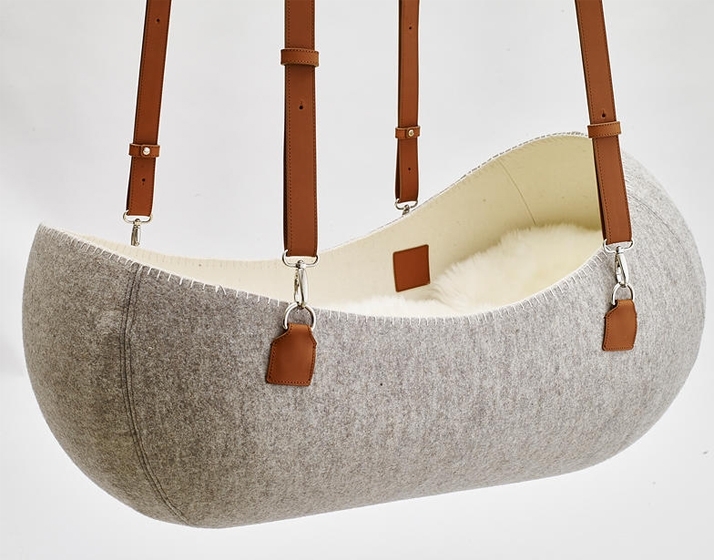 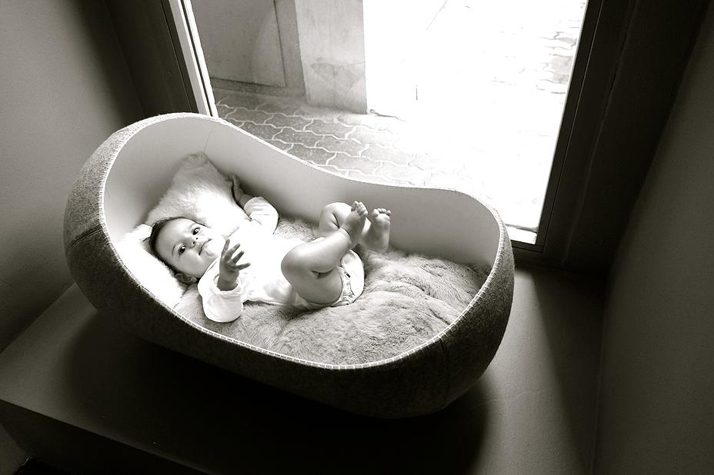 Due to perfectly simple geometry, 100% natural materials and the single-point suspension, babies can enjoy gentle care very similar to what they experienced prior to their birth. 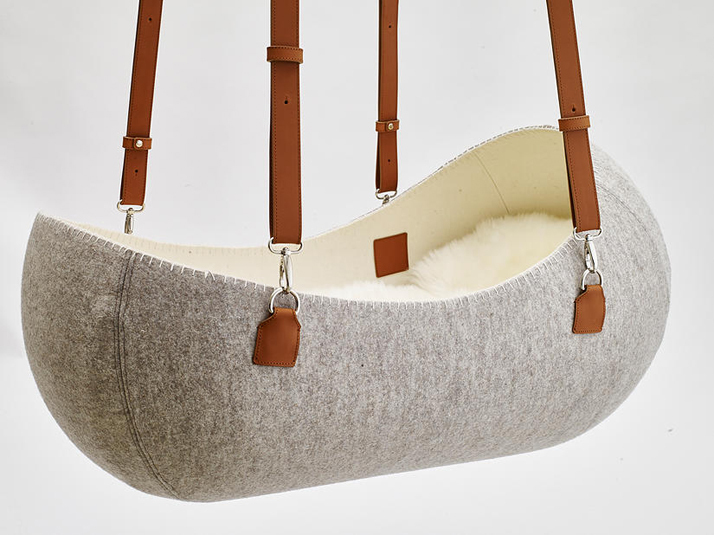 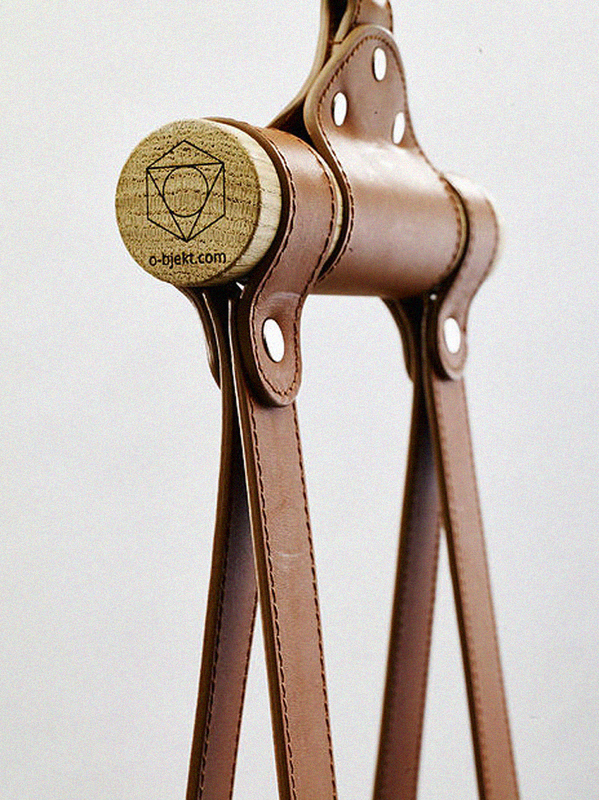 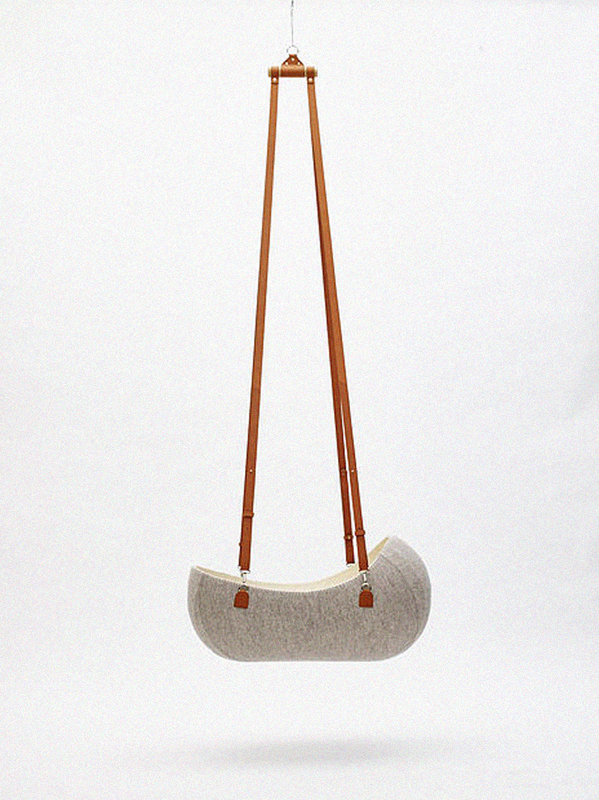 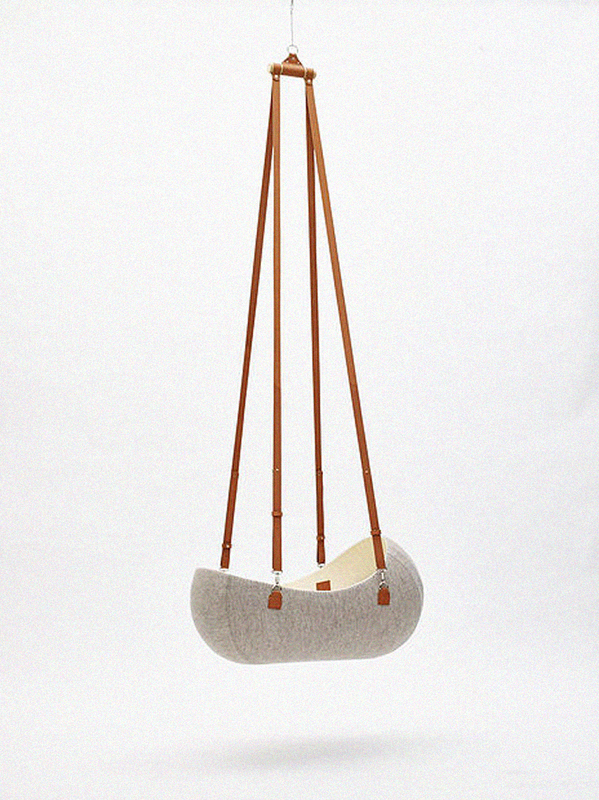 The cradle reacts to every move and wiggle the baby makes and calms them down with gentle swaying.